Replacement HEPA filter, prefilter, & carbon / zeolite mixture for Austin Air Healthmate (HM400) air purifier. 60 sq. ft. true HEPA medical filter medium. 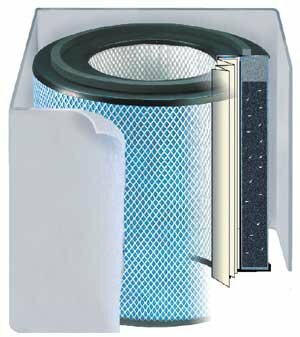 Prefilter included on outside of main filter. Easy replacement of existing filter.